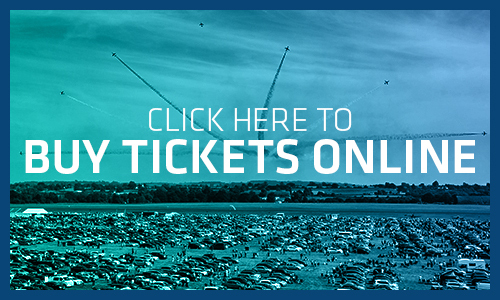 The Air Show is an advance ticket only event, so buy yours today to avoid missing out! Standard adult tickets cost £29, accompanied under 16s are free and do not need a ticket. Tickets are available online through our agent, SEE Tickets and are subject to a booking fee per order. Tickets also available for purchase at RAF Museums and selected Tourist Information Centres from April 2019. If you are looking to attend the RAF Cosford Air Show 2018 as part of an organised trip from your area, please check our Coach Operators section to see which coach companies are running excursions near you. PLEASE NOTE: By purchasing tickets online, over the phone or from an outlet, you are agreeing to our Terms & Conditions. 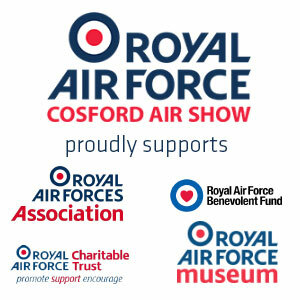 Any profits from the RAF Cosford Air Show are donated to RAF and Local Charities.